Richmond Jazz Society’s curated exhibition, “Virginia Jazz: The Early Years,” is currently on display at the Valentine until April of 2018. In this exhibit, we find the untold history of some of the most prominent local figures in jazz, told through photographs, correspondences, performance footage, and programs. 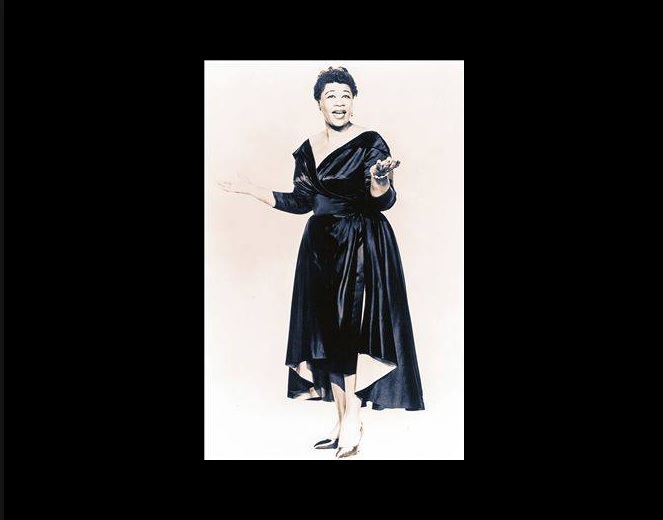 Larger-than-life names like Ella Fitzgerald and Bill “Bojangles” Robinson hail from Virginia, born and raised — but they’re not the only ones. Bill Martin, the Executive Director of the Valentine, expressed the sentiment that so often when Richmond history is looked at, we focus only on its political history. 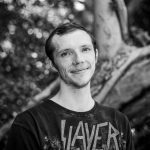 “In many ways, some of the richer, more interesting parts of life in the city are its music, its theatre, its art scene,” Martin said. “They are not often represented in museum exhibitions.” It was the Valentine and Richmond Jazz Society’s goal to do just that. Richmond Jazz Society has an extensive collection on the history of Virginian jazz, and the artists who call the Commonwealth home. “Until now, there has been no opportunity for the public to view what Richmond Jazz Society has stored,” Martin said. Ingrained with history itself, Richmond Jazz Society is one of the first interracial jazz organizations, and one of the first organization with an interracial board. They have spent a number of years curating an exhibition to not only be held at the Valentine, but with the intent to travel. Brown elaborated on some of the lesser known facts and individuals portrayed in the exhibit. Bill “Bojangles” Robinson was born right here in Richmond, but what most people don’t know is that his contribution to contemporary dance was paramount. “He actually changed the way people dance. Where tap dancing was more flat-footed, he brought it up on its toes, and then the heel,” Brown said. Bojangles elevated tap to the elegance that it is now, and we take for granted. Another name worthy of spotlight is that of a lyricist from the 1920s named Henry Creamer. Popularized by Louis Armstrong and the crew, Creamer was the individual who wrote “If I Could Be With You” for him. So many people have heard “Way Down Yonder in New Orleans,” but few would have guessed it was written by this Richmond-born lyricist. Virginia jazz’s influence is not confined to the United States, either. Claude Hopkins, a pianist from Alexandria, achieved critical acclaim after graduating from Howard at 22 and moving to Paris. There, Josephine Baker named him Music Director of her theatrical production crew, which went on to be one of the largest and most successful productions in Paris. 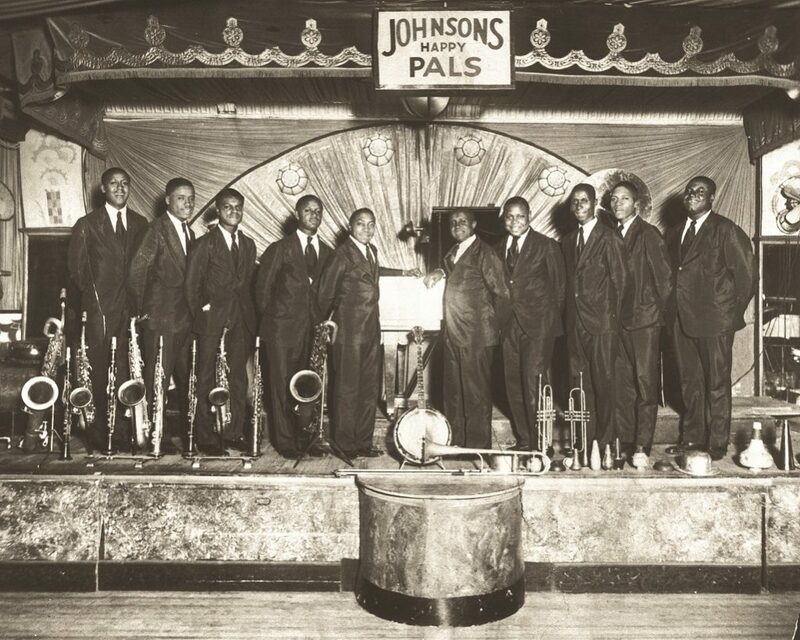 Featured in most press for “Virginia Jazz,” a group photo of Roy Johnson’s Happy Pals Orchestra in celebration is the flagship photo for the exhibit. This snapshot in time follows the huge upset in a 1929 battle of the bands with Roy Johnson’s Happy Pals emerging victorious over Duke Ellington. Later, one of the members’ wives donated the portrait to Richmond Jazz Society. “Virginia Jazz: The Early Years” offers knowledge on one of the richest histories in Virginia. It will be on display at The Valentine, located at 1015 E. Clay St, until April 30. Admission to the Valentine is $10 for adults, $8 for students with ID. For more information, check The Valentine’s website.